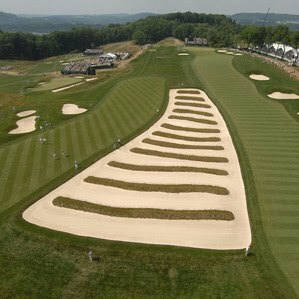 My wife and I made reservations last week to go to Pittsburgh in July to see the U.S. Women’s Open at Oakmont. This is one of those “ever since I was a kid” wishes, that I could walk around this course and a few others of its stature. 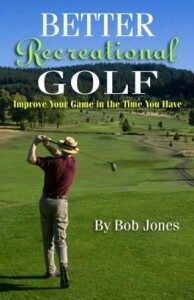 I did Pebble Beach in 1960, and Merion is on my calendar for 2013. This course is one of the hardest courses in America, featuring more bunkers than you can count, and dipsy-doodle greens that are slicker than (you know what). The Church Pews bunker between the 3rd and 4th holes is forty yards wide at its widest and 60 yards long. You can get the shakes over a one-foot putt. We’re going to spend two days there, the Wednesday practice round, and the first round of competition on Thursday or Friday. On Wednesday, we’ll get to walk all around the course and take lots of pictures. I figure this is the only time I’ll get to be on this course with so much of the course showing (small crowds). On the competition day we go to, we’ll start off the first tee with a group of interest, follow them for a few holes, then park ourselves at a green until a few more groups go through and someone else is worth following comes along. In about six hours, we’ll have made a restful tour of the course and have seen a lot of players. This is going to be fun. I’ll keep you posted come July. I was out at the range yesterday. I hit my usual small bucket (30 balls) in about 20 minutes, then went to the practice green. Truth be told, I would rather spend all my time on the practice green, but I’d feel guilty about not paying anything to use the practice facility, so I always buy a token. Every time on the green there’s a new lesson to be learned, and yesterday’s was good one. I find it hard to read downhill breaking putts. The contours don’t stand out like they should. So I walked around once behind the hole and took a look. Wow! I could just see the putt rolling down and curving into the hole, and I could see how fast it would be rolling on its way. Line and speed in one glance. I got my starting line, walked back to the ball parallel to it, put my putter down square to it, and was ready to go. Now I‘m not going to say I made everything I looked at, but I was much more at ease over difficult putts, and I did make more than my share. I tried lining up from behind the hole for every putt, and got much better results. Another advantage of reading from behind the hole is that you get a clear picture of what’s happening around the hole, which is a key factor in leaving the ball close. Try it yourself. Just because everyone reads the green from behind the ball doesn’t mean you have to. Whatever works. There was a time when I thought that golf was about swinging and putting, and the short game was for the times when your swing didn’t work that well. Damage control, I called it. No longer. About twice a year, my swing goes on automatic and I turn my 82 into a 77. I finally figured out that with a better short game I could turn those 82s into 77s every time out. Score when my swing isn’t on fire. If I hit nine or more greens in regulation, I’ll score low. I usually hit six, but I could still break 80 by getting more up and downs if I work on that part of the game. The point of golf is to get the ball in the hole, not to hit good shots. Why wait around for those golden days to have a low score? 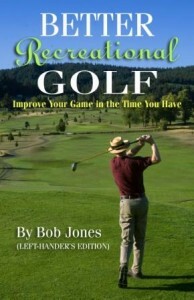 Why not have a good enough short game to shoot a low score most of the time? And when my swing is clicking, it could take me down to par. 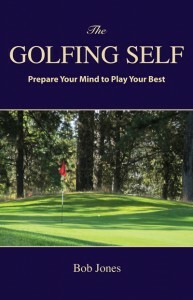 Wherever you are on the golf course, wherever the ball is, there’s only one question you need to ask yourself. One question that will help you shoot the best possible score. That question is, What’s the best shot I can hit from here? What is the best shot I can hit from here, given my skills and what I have to do to get the ball in the hole as quickly a possible from here. That’s the long version, but that’s the question. The question is not, What’s the best shot Arnold Palmer could hit from here? The question is also not, What if I hit my 5-iron like I did two months ago one time? It’s, What’s the best shot I can hit from here, right now? Brad Faxon once said that you should play conservative shots with a cocky attitude. He meant to play shots you know you can hit, with all the assurance you can muster. If you have 160 yards from the fairway into a well-defended green, and you know you can get the ball there, then hit the shot. If you have 160 yards into that same green, but from the rough, the best shot you can play from there might be a layup to your favorite chipping distance. Attack the course with the best shots you have, and you’ll get the most out of your skills and have the most fun. The Masters will begin tomorrow, the first men’s major of the season, although why it’s a major escapes me, because it’s not the championship of anything. Kind of like the Kraft Nabisco on the LPGA circuit. I’m picking Sergio Garcia to win this year. It’s about time for him to win his major, so let’s get it done. Since you can’t win the Masters without putting the lights out, a win here would be a big monkey off his back. My other favorite is Rory Sabbatini. He does things for people behind the scenes that are exemplary. He should be rewarded for that with a big win. I addressed this point a few months ago, but it’s so important, I want to touch on it again now that a new golf season has begun. There is a tendency to quit after a bad shot. After all, the hole is ruined, and you’re shooting for bogey at best, and maybe a double. But the thing is, that’s not true. Keep playing. Don’t add up your score until the ball is in the hole. Remember the 2009 Masters, when Angel Cabrera, contending, hit his tee shot on the 72nd hole into the trees? Usually the pros find a little gap and hit a rifle shot straight through it onto the green. Not him. He truly had no opening. He did all he could do, which was chip out into the fairway. His third shot was an 8-iron that ended up 12 feet from the pin. He sank the par putt, got into the playoff, and won the tournament on the first playoff hole. As long as you can keep hitting the ball, there’s a chance. I’ve made par from a tee shot into the weeds. Not the rough, the weeds. I’ve made par from a tee shot into the water. So when you hit a bad shot, don’t kick yourself. There will be plenty of time for that after the round is over. Instead, start thinking how you can make your next shot count – how you can make a bad shot part of a good score, and not the cause of a bad one.